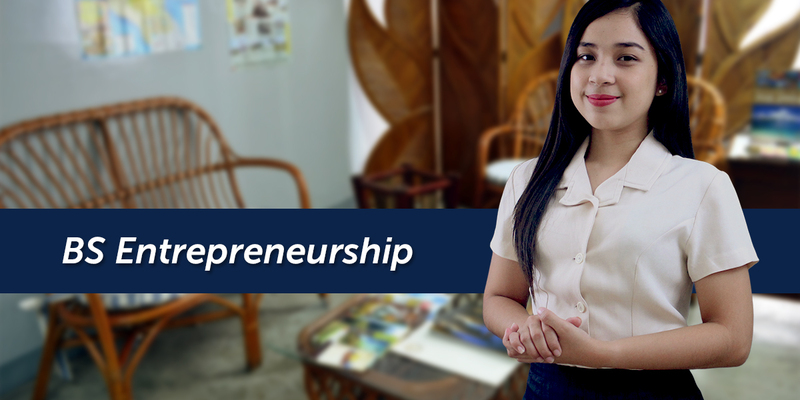 This program is designed to enable the students to have an entrepreneurial mind-set and to develop their entrepreneurial research interest, which will benefit both the students’ business acumen and the community’s improvement. The scope of study intends to provide undergraduate students an in-depth understanding and appreciation of new venture operations in small business enterprises. It aims to equip students with entrepreneurial spirit to realize a vibrant and developing economy through the development of products and services needed in a specific business initiative. Graduates of the program are expected to be opportunity seeking, innovative, and skilled in all the functional areas of a business operation. They are oriented towards developing their own entrepreneurial ventures and successfully growing them into strong business enterprises as well as developing desirable qualities of leadership, social concern and moral values amongst them. Graduates are typically equipped to enter into the business world, either by starting their own company or by seeking experience with an established business. They can pursue opportunities in retail, production, international business, or start a small business of their own. Job titles could include: Company manager, Professional consultant, Business owner, online commerce entrepreneur, positions in Business Development, Corporate Planning, Product research or similar positions both in Private and Public Corporations.